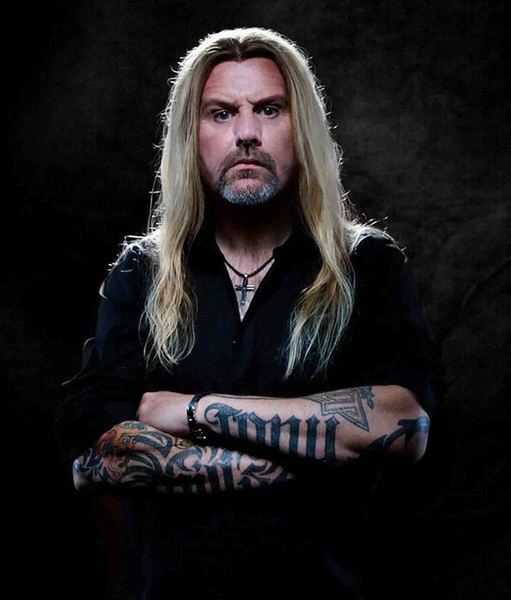 Four years after the last FRONTLINE studio album „Circles“, time was ripe for STATE OF ROCK, the new band around FRONTLINE guitarist Robby Böbel. “Hutch” Bauer and Rami Ali, two old FRONTLINE comrades, jumped on board, so the only question left open was who could take the place behind the microphone. That was when label boss Georg Siegl pulled the strings and got in contact with Tony Mills (SHY/TNT).After only three demo songs it was clear that the chemistry between the two songwriters, Robby Böbel and Tony Mills, was great. Their strengths complemented each other and pushed them to new horizons. It turned out instantly that this new band is about to become something special!Their debut album, „A Point Of Destiny”, follows the slogan “75 % FRONTLINE + 25 % SHY = 100 % STATE OF ROCK”, as it combines the qualities of these two classic Melodic Rock bands: melodic vocals by Tony Mills at the times of SHY classics like “Excess All Areas” plus the unique guitar-licks by Robby Böbel.In September Tony Mills came to Germany to put final touches on the album. The band used the opportunity and played some showcase-gigs in front of a handpicked audience to emphasize that STATE OF ROCK are a real band and not just another project. 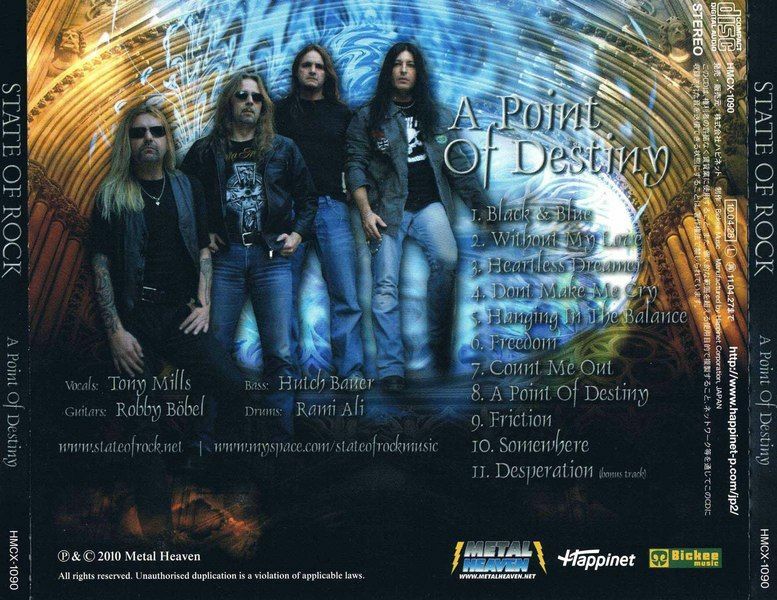 “A Point Of Destiny” will be released on January 29th, 2010 – a date that any Melodic Rock fan should mark in his calendar. 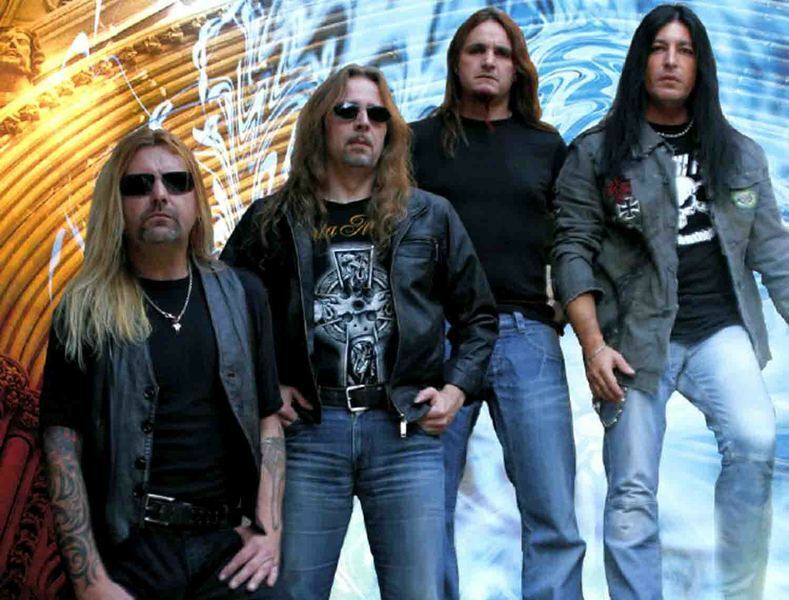 STATE OF ROCK are a new band featuring three members of melodic rockers FRONTLINE with the ever busy front man of SHY, T.N.T and bunch of other stuff TONY MILLS. Unlike a lot of other collaboration efforts, this actually does sound like the sum of it’s parts. Just as the band’s promo material states “75% FRONTLINE and 25% SHY = STATE OF ROCK.”Maybe the most interesting part about this grouping is the fact that TONY MILLS’ voice still sounds as good as it ever did, and it’s amazing just how well he suits the style and vibe of the album. That’s not to take anything away from main songwriter and guitarist ROBBIE BOBEL, who must surely be classed as one of the best guitarists going around in today’s melodic rock scene. 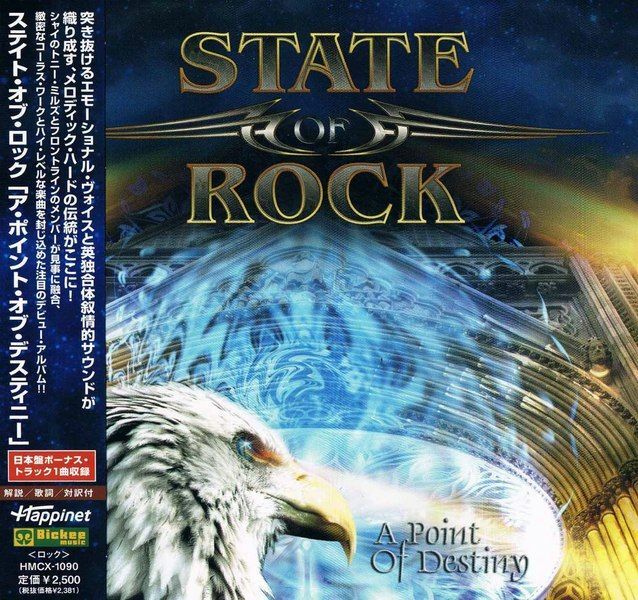 Also unlike a lot of the collaboration efforts in the scene these days, the guys from the band have gone on record to say that A POINT OF DESTINY is not a project release, and STATE OF ROCK are a full blown band that are here to stay. Well, the future will tell on that one, but let all of us melodic rock fans hope that it’s true.There are so many highlight tracks on this album, and the harder part is actually finding a track that’s not superb. From the pure melodic rock bliss of BLACK & BLUE, HEARTLESS DREAMER and A POINT OF DESTINY, to the amazing grandeur balladry of DON’T MAKE ME CRY and the all out classic rock vibe of FRICTION, every track deserves it’s place on the album and each has the potential to be somebody’s favorite. Fans of either of the bands mentioned above are in for a real treat with this one, and any melodic rock fan worth his salt needs to seek it out immediately. Just be prepared to be amazed at just how inspired and fresh maestro TONY MILLS sounds throughout the entire album.